Arsenal boss Unai Emery has reportedly informed his players to only use English in the dressing room while talking with each other. Arsenal appointed Unai Emery as the new boss of the gunners after the departure of Arsene Wenger and he has made a number of changes at the North London club in his first season at the Emirates Stadium. The manager has already banned the use of mobile phones during lunch breaks at the training grounds and stopped the drinking of Fruit juice because he believes that it has many calories, so he hopes this will help the players to get in good shape. 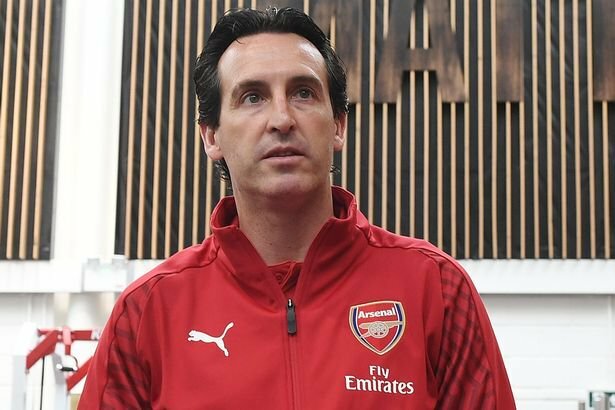 The Mirror now claims that the Arsenal boss has told the players to only use English while in the dressing room so that they can easily interact with each other in one universal language, Unai Emery himself hasn’t finished learning English but he has worked hard to get used to it because it’s the first time he has coached a club in England. Most of the Arsenal players know English even though most of them are from non-English speaking countries but they have been in England long enough to understand the language but new players like Lucas Torreira are very poor at English but the boss will be hoping to see him also learn it by the end of this season.